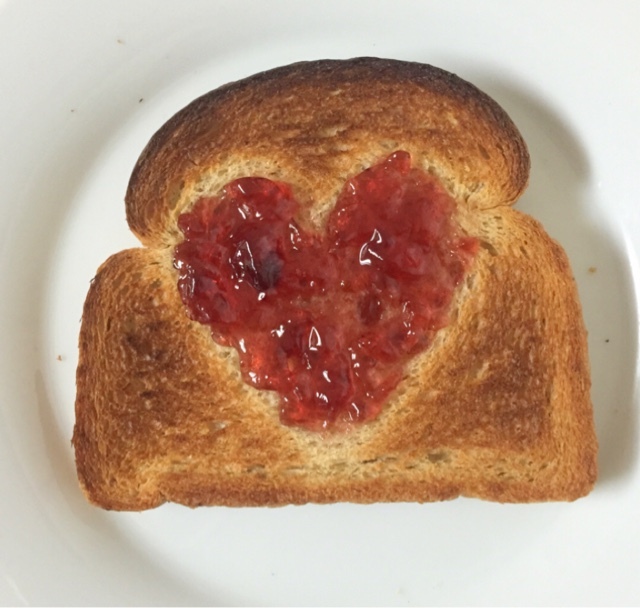 Here's a super easy and fun idea when making toast for your kids. 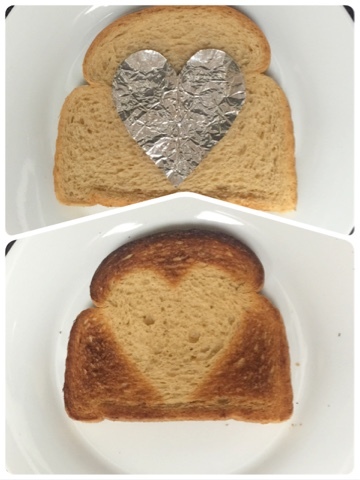 I wanted to make it fun so I cut a heart out of foil and placed it directly on the bread. Toast until the bread is golden brown; remove the foil. My daughter applied jelly only on the heart to make it fun. You can make whatever shape or design you want with foil and toast it with your bread. My kids get a kick out of these simple things. It makes it fun for them.